What’s cool about Callbase is allowing businesses manage their calls right there on the browser. Just a sign up; available anywhere; no installs. But what about extending this flexibility to mobile devices? What about giving agents the flexibility of receiving and making calls on their mobile device anywhere, anytime? Since Callbase is built on SIP, platform portability should be an easy one. The Android platform is one I have been working on for some days now. It is that straight forward. In less than an hour, you can build a simple client that can make and receive calls. To receive calls, you just register a broadcast receiver for the pending intent you registered earlier. That’s as easy as it can get. You will find more interesting methods to end, mute, hold and all that in the SipAudioCall class. The only other things you have to take care of are normal manifest permissions and class clean up (unregistering broadcast receivers, closing the manager). Even though the specs states the SIP API is available for Android devices from 2.3, it is not. The Android SIP API is not supported on all devices. Interestingly, it is supported on my old 2.3 LG P970 and not my 4.4 Moto G. (By the way, you have to test on real device and not the Android emulator). We can do a simple test. The SipManager class has some methods to test device support. In most cases, the API will be supported but not VOIP. And that is a big bummer there. This makes the Android SIP API limiting if you are planning to build something targeted at different devices. Some of the stacks offer only low level APIs. They require you to have a good knowledge of the SIP protocol. Nothing is handed to you on a platter of gold. You must know what headers, what messages, what requests to send at the right time. There is nothing like calling a simple register() method to help you handle SIP server registration. Doubango offers a high level API that makes SIP development a lot easier and faster. 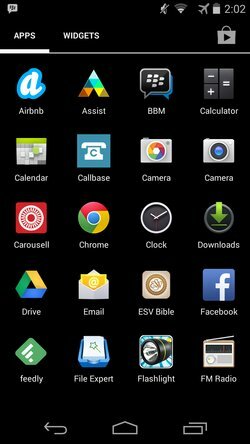 Doubango has an Android library that can be integrated easily. All the hard C/Android JNI integration already done. The journey starts from downloading the Android NGN stack from code.google.com/p/imsdroid/. (The core project is available at code.google.com/p/doubango/source/checkout). There is a PDF (android-ngn-stack-00.pdf) in /branch/2.0 that explains the library setup - importing to Eclipse and creating your project. Once that is done, you can start building. For me, the PDF documentation didn’t help much as regards development. I had to figure a lot of things by experimenting. The sample source codes and imsdroid source were also helpful. Let’s start with the initializing the engine and SIP service and registering the broadcast receivers. Before we can send a registeration request, we need to set necessary SIP configuration details. The NGN stack has a configuration utility for this. The configuration service is persistent. This means you only have to set this values once - say the first time the user logs in. If this has been done (doesn’t matter what activity or when), then you can send the registration request. You will want to start a new activity (let’s call it MakeCallActivity) in that broadcast that will show the user the necessary action buttons (at least an “End call” button) and interact call state with the user. You should also find a way to pass call state from the CallStateReceiver (shown earlier) to this MakeCallActivity. What I did was send call state broadcasts from CallStateReceiver and create listeners within my MakeCallActivity (and ReceiveCallActivity). This will enable you know call states within calls and how to update the UI as necessary. Receiving calls is just as easy. Remember our CallStateReceiver? Just start a new activity (let’s call it ReceiveCallActivity) to handle incoming calls in the incoming call state. // Wake the screen and ignore "face touches"
It is interesting to see and experiment with the many possibilities of SIP on Android. Doubango may not be the perfect library for you. If you are a core SIP developer, you may want to consider the low level APIs like JAIN and MjSIP. 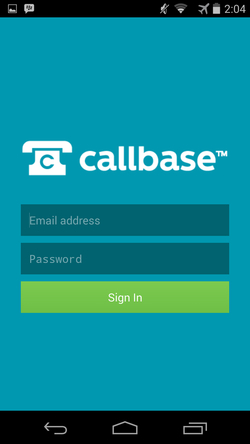 I have been using the Callbase for Android app (alpha) to make and receive calls on my Moto G. (I don’t have a SIM. I created a personal organisation and purchased a US number on Callbase). It works ok but still needs some face lift here and there. Once the app is ok for public use, we will release for beta.